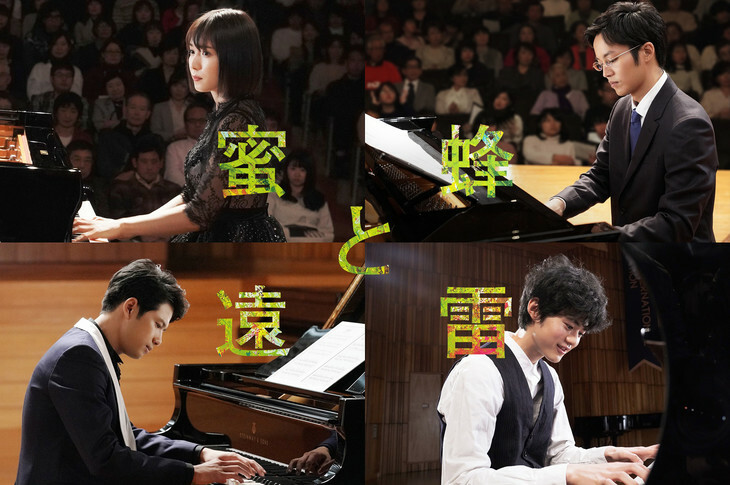 4 young pianists Aya Eiden (Mayu Matsuoka), Akashi Takashima (Tori Matsuzaka), Masaru C Revy Anatoru (Win Morisaki) and Jin Kazama (Oji Suzuka) compete in the preliminary round of an international piano competition. Aya Eiden was known as a child prodigy for playing the piano, but her mother, who understood her the most, passed away. Aya Eiden then stopped playing the piano at the age of 13. Now, at the age of 20, Aya Eiden decides to take part in the international piano competition. Akashi Takashima (Tori Matsuzaka) graduated from a music university, but he now works at a musical instrument store. He enrolls in the international piano competition as a last challenge due to his age. Masaru C Revy Anatoru (Win Morisaki) attends the Juilliard School. He is favored to win the preliminary round. 16-year-old Jin Kazama (Oji Suzuka) is unknown and appears in the competition. He has a recommendation letter from a late pianist who was recognized as the best in the world. Based on novel "Mitsubachi to Enrai" by Riku Onda (published September 23, 2016 by Gentosha). Novel "Mitsubachi to Enrai" is the winner of the 156th Naoki Prize in 2016 and the 14th Japan Booksellers' Award in 2017. Filming begins late October and finishes mid-December, 2018.